DESCRIPTION: Silver grey to gold body with black, white and blue spots and speckles Fins blue. RANGE: Baha to Ecuador and Indo-Pacific. All of the fish pictures on elasmodiver.com are copyright protected. 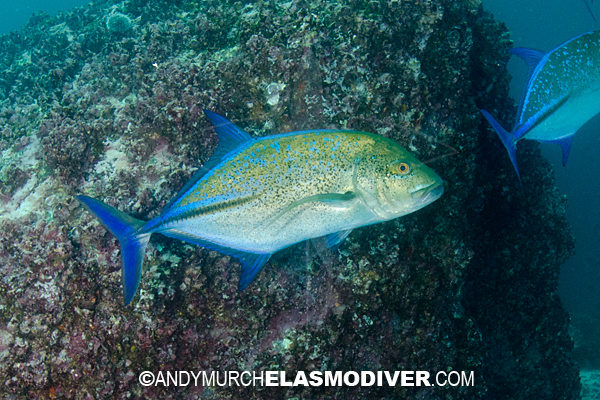 No unauthorized use of these bluefin trevally pictures is permitted. Please contact Elasmodiver for further information.